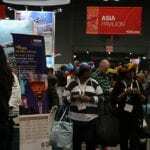 The New York Times Travel Show is the largest travel industry trade show in North America. Photos by Joan Mead-Matsui, journalist, travel writer, and photographer. The New York Times 15th Anniversary Travel Show drew a record number of participants to the Jakob Javits Center during its annual event Jan. 26 – 28, 2018. Travel show organizers reported a new record of 32,398—the highest attendance in the show’s history. That number included 10,268 travel trade, 22,130 consumer attendees, and participating exhibitors, and another milestone with 600 companies representing more than 176 countries. 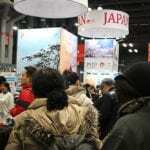 The New York Times Travel Show is the largest and longest-running trade and consumer travel show in North America. 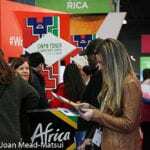 In addition to more than 500 exhibitors from all seven continents, visitors learn more about worldwide travel at the Travel Industry Conference and from consumer seminars and interactive exhibitions. The crowd was equally as diverse as the countries that participated. Turkish Airlines was the presenting sponsor of The New York Times 15th Anniversary Travel Show. The airline offers passengers a fleet of 329 aircraft that fly to 300 worldwide destinations and 120 countries. A chef and flight attendant were among the Turkish Airlines’ representatives who welcomed visitors to their booth. 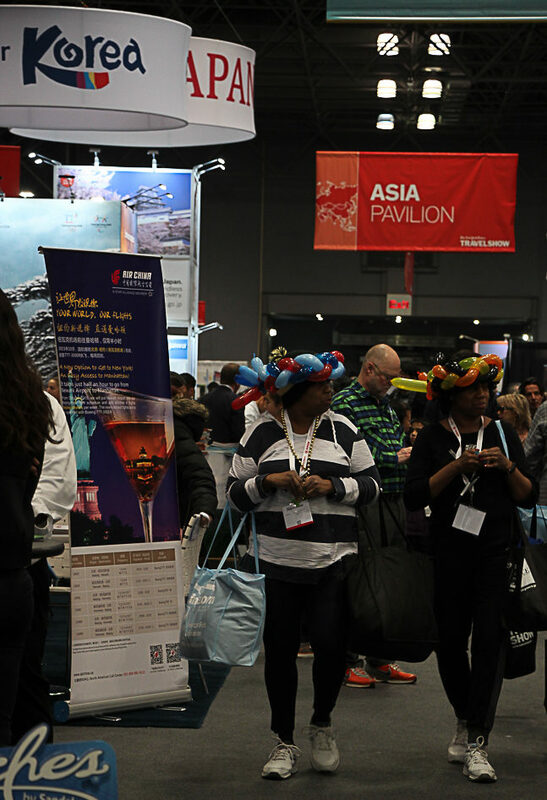 Although I did not attend Trade Day, the first day of the travel show on Jan. 26, the day’s events were reserved exclusively for travel industry professionals and members of the media. Among the events offered on Friday were the Keynote Address by veteran travel journalist and editor James Shillinglaw, in conversation with: CEO of Travel Leaders Group Ninan Chacko; Jennifer Tombaugh, President, Tauck; Alejandro Zozaya, CEO of Apple Leisure Group; Andrew Stuart, President and CEO of Norwegian Cruise Line; and Guy Young, Global Brand Engagement Officer, The Travel Corporation; and 20 Focus Conferences’ panels that covered the latest products, services, destination information and trends from travel industry experts. 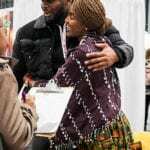 The second and third days were open to all attendees and featured various cultural presentations and performances, food demonstrations, and one-on-one conversations with travel experts, influencers and celebrities including travel expert Pauline Frommer, fashion designer Zac Posen and musical artist Action Bronson. 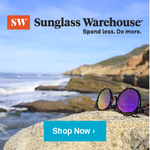 The 2018 show also highlighted new seminar topics such as: “Seeing Mexico City and Barcelona Through Their Burgeoning Art Scenes,” with art expert Maria Brito; “The Best Travel Gadgets of 2018,” a conversation with experts of New York Times’s product review website Wirecutter; and “Sustainable and Socially Conscious Travel” with New York Times travel and lifestyle writer Shivani Vora; among many others. The LGBTQ Pavilion, curated by gay travel expert and ManAboutWorld editor-in-chief, Ed Salvato, debuted at this year’s show. If you stopped by the booth, you found information about the latest trends in LGBTQ-centric tourism and a showcase of LGBTQ travel experts from exhibitors including ManAboutWorld, Out in the Vineyard, Oscar Wilde Tours, Shady Ladies Tours, R Family Vacations, Quiiky-Gay Tours in Italy, Outings & Adventures, Insider Voyagers and the Stonewall National Monument. 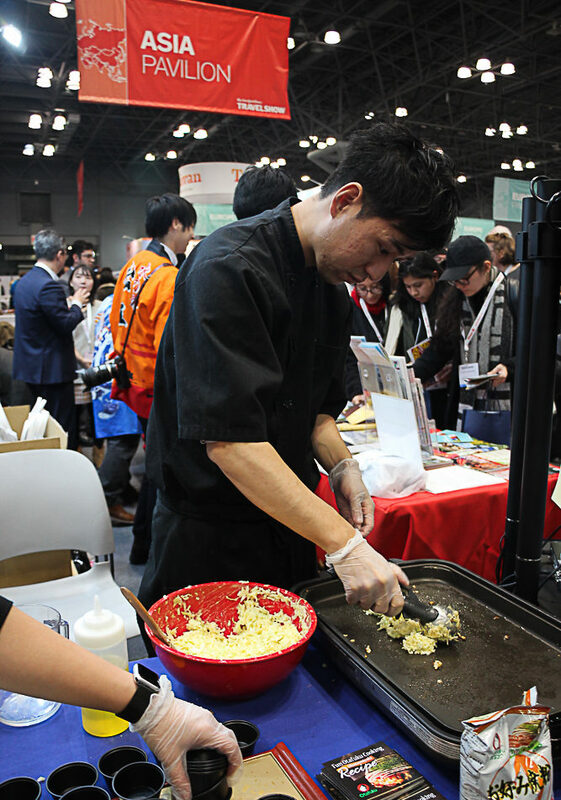 Okonomiyaki, a Japanese-style pancake, was one of the selections prepared on-site at the travel show. Representatives from a variety of destinations took some of the mystery out of cuisine from Japan and other countries. The Taste of the World Pavillion offered an opportunity to sample the authentic fare while learning more about world’s most popular flavors. 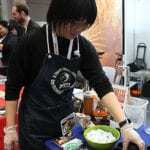 Agents from Japan, for example, prepared “Okonomiyaki,” a savory pancake that typically contains flour and cabbage with add-ins that might also include meat and seafood. Take a moment to view additional highlights from the travel show. Story continued below. Samples prepared by delegates from Japan travel and tourism agencies featured a treasured Japanese favorite (Okonomiyaki). If Japan is on your list of countries to explore, you were not at a loss for agents to help you orchestrate your journey. The New York Times Travel Show draws people of all ages. Not sure where you want to travel? 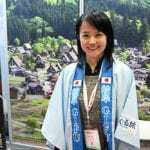 The Japan representatives offered advice about the well-known and lesser-known attractions. Plans are underway for The 2019 New York Times Travel Show. Selecting a region in a particular country can be daunting but representatives are able to narrow the lists. Map and brochures were readily available throughout the show. The Philippines’ agent assisted this couple with trip planning. Delegates offer a wide range of trip planning services from the most basic to specific information. From sun-packed beach vacations to hiking in lush forests, certain destinations offer both. 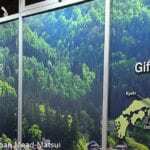 Sixteen pavilions helped to spread the word about adventure, travel on the seven continents, cruising the waterways, family travel, river cruises, sponsors, and travel products and services, and a variety of other topics. 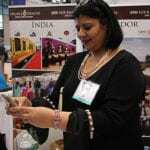 The travel show was widely promoted on social media platforms. Interactive displays helped generate an enthusiasm for travel. African tourism experts offer the adventurous spirit travel opportunities that range from safaris to tours covering breathtaking landscapes. The show is as much a “meet and greet” as an educational adventure in the world of travel. The Family Travel Association sponsored the Family Travel Pavillion as a means to showcase family-friendly and yes, pet-friendly destinations. 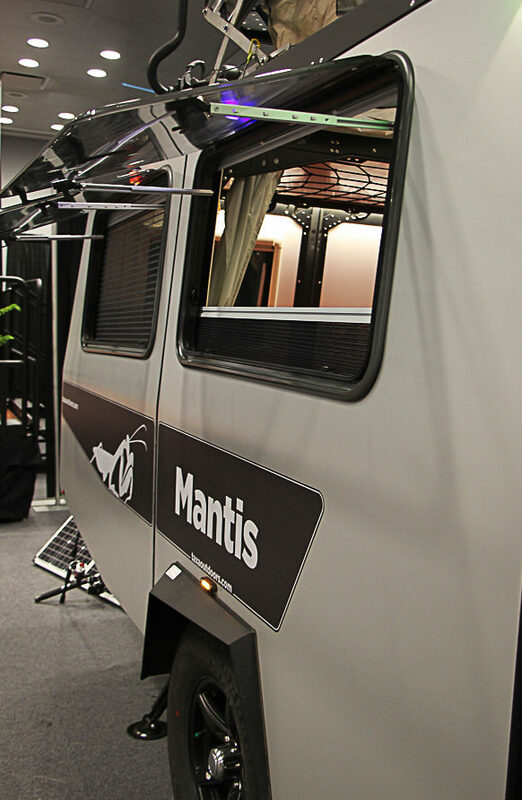 Key players in the family travel industry highlighted lodges, resorts and cruise lines, while families looking to integrate transportation and accommodations could also step inside a Mantis customized camper van. More information about Mantis and other integrated camper vans can be found at taxaoutdoors.com. While the adults spoke to delegates at each of the show booths, children had time to unleash some energy in the Gaga Ball Pit and other activities hosted by Camp Cody. Fitter International, Inc. offered a “Fun Zone” so families could test their balance, strengthen and stretch their bodies. A customized “Mantis” camper-van allows families to travel in style. Vans can be tailored to meet individual needs ranging from the elaborate to basic functionality. 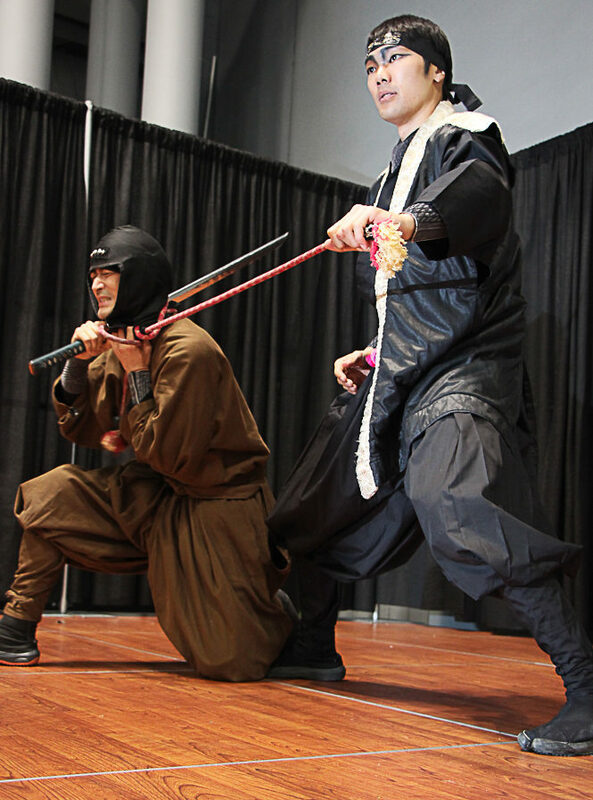 A genuine Ninja performance from Ashura’s Ninja Show was presented by Japan. Why do cultural performances help tourism boards attract visitors? They work hand in hand to enhance a traveler’s overall experience and they’re an important means to strengthen cultural heritage. Dancers from The Consulate General of Indonesia and Tai Chi martial arts’ experts from the Henan Province were among the other performers that took the stage at the travel show. Stop by again soon for extended coverage. The New York Times presented awards to the following exhibitors. The New York Times Travel Show is organized by The New York Times Company (NYSE:NYT), a global news organization founded in September 1851 in New York City. Its entities include The New York Times and NYTimes.com and related properties. 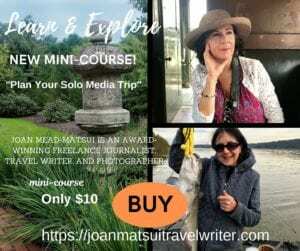 Stop by joanmatsuitravelwriter.com again soon for continued coverage of The New York Times 15th Anniversary Travel Show.